Creating a website was once a tricky and expensive process. Fortunately, website builders have made it easier than ever, allowing anyone and everyone to create a functioning website in a matter of minutes. 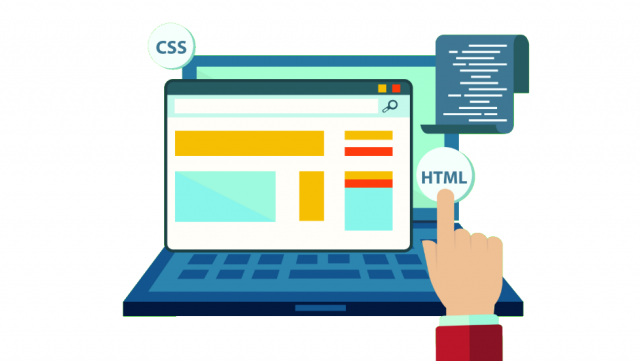 However, while every website builder will let you create a website, not all website builders will let you create a world-class website which will stand out from the crowd. We’ve reviewed all the leading website builders on the market and identified the best ones for beginners, businesses, and ecommerce businesses, as well as the best website builders for bloggers and photographers. If you want to start a website, make sure you check out Tech.co’s website builder reviews and advice guides first. As we mentioned above, we’ve reviewed all the leading website builders, including Wix, Weebly, Squarespace, WordPress, GoDaddy, 1&1 and Site123. You can read all our reviews individually, but what if you just want to know which is best? Check out our Best Website Builders for Beginners to find out why we recommend Wix as the best website builder for novices and website wizards alike. Can't wait to create your own professional-looking website? Get started with the best website builder possible, based on our expert reviews. We'll help you choose one that's blissfully simple to use. How do website builders work? How much do they cost? Do I need to know anything about the internet to use one? Do I even need a website builder? Find out everything you need to know about website builders with our What is a Website Builder guide now. Want to give building a website a go? We’ll help you navigate the potential minefield that is website building. We’ll guide you through all the steps you need to take before you start building a website, including finding the best website builder, through to creating and editing your website, and finally onto publishing and maintaining your website. We’ll also help you understand the costs of building a website, and when you should just pay someone to do it for you. Take your business to the next level with a world-class website! We show you the best website builders for small, growing and established businesses, as well as how much a website builder should cost you, and the features you should be looking out for which could help you grow your business (such as advanced e-commerce features). 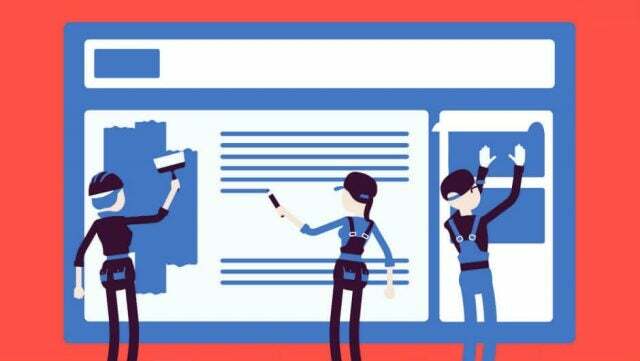 Not all website builders are right for business sites, so make sure you don’t get off on the wrong foot with this guide on the best website builders for businesses. We put Wix and GoDaddy head-to-head to find out which website builder is better. We look at each builder's pricing structure, feature set and which one is easier to use so you can see which one is the best choice for you and your business. We compare all the Shopify pricing plans to find out which flavor of the best ecommerce builder is right for you and your business. We compare all the features from the pricing plans, so you can work out which offers the best value and compare it to rival ecommerce builders. We compare two of the biggest ecommerce platforms on the market, Shopify and BigCommerce to find out which one is right for your business. We look at the quality of features on both platforms, how easy they are to use, and which is better value for money. Volusion is a strong ecommerce platform with excellent sales channel integration, providing lots of detail on the products you sell and where you sell them. However, it's not as easy to use as some of its rivals, with confusing menus and a limited storefront editor. BigCommerce is a fantastic ecommerce platform which can help get your business online quickly and easily. It has great built-in features, loads of product detail and no transaction fees. Read our full BigCommerce review to find out more. Wordpress is a big name in the world of blogging – indeed, it's ideal for making your own blog. But it isn't necessarily perfect for creating other types of website, as you'll find out in our full Wordpress review. Read on for our verdict on using Wordpress for web publishing. Site123 is a good website builder, which excels at creating functioning sites in literally minutes. However, it's not perfect and has some considerable downsides compared to some of its competitors. Read on to see if Site123 is right for building your website in 2019. The 1&1 MyWebsite website builder program has a good website editor, but is sorely let down by its outdated templates, expensive packages and complete lack of an ecommerce offering. Compared to the likes of Wix or Weebly, its features are obviously lacking. GoDaddy has some nice features, but is too restrictive overall for us to recommend as highly as other services. GoDaddy is widely trusted as one of the biggest website builder and domain hosting companies in the world, but we feel Wix or Weebly are superior tools. Weebly is a great website builder. While it can’t quite match Wix, Weebly runs it very close. It’s incredibly simple to start building a Weebly website and, once you’ve chosen your domain and template style, it remains perfectly easy to customize things to your liking. Wix Pricing: How Much Does Wix Cost? Want to start a website, but not sure how much it will cost? We run through the each pricing plan in detail to find out which one is the best value for money and which one is the best value for money. We run down the best seven website builders for beginners based on our extensive and independent testing. We also cover any of the burning questions that you might have about creating a brand new site from scratch, including how much it should cost. What You See Is What You Get website editors make it really easy to create a website by showing you exactly what your site will look like as you're editing it. We'll tell you how they work and which ones are the best on the market. It's tempting to try and make a website for free and there are lots of services claiming you'll get a great site without putting your hand in your pocket. However, there are several reasons why you should avoid opting for one of these free services. Creating a website for your own brand or company is one of the best and potentially most lucrative ways of making money and becoming your own boss. However, there's more than one way to monetize a website so we'll go through the pros and cons of each. Starting a website of your own has never been easier, and there have never been more ways to go about it. We explain the best methods for publishing your own site- whether you want to do it yourself or contract a website designer. One of the easiest ways to get your photography work noticed is by building a first-class photography portfolio website, and the easiest way to do that is with a website builder. There are some brilliant tools available to help you publish a professional-looking photography site. For businesses, a website is the path to new clients, a better first impression, and a healthier bottom line. Yet, an outdated website can hamper all of these – which is why it might be time to redesign your website. We explain the fundamentals of website redesign. If you need a new website you have 2 options: hire someone to create your website for you, or use a modern website builder platform for a DIY approach. So, what’s the best option for you, and how much does each one cost? Plus, can and should you create a website for free? First impressions count: And if users find your site confusing or dull you’ve lost them, maybe forever. So how do you make a website that will keep your users engaged enough to read on, or buy your products? Here are the key principles that underpin great website design. Blogs were once dull, uninteresting websites that people used to write down all the mundane details of their lives. Nowadays though, blogs are popular, vibrant and in some cases wildly successful. Here's how to create your own in 7 simple steps. Next stop: influencer. If you’ve been putting off creating a website because you think it’s too hard or too time-consuming, now’s the time to prove yourself pleasantly wrong. In this guide, we’ll walk you through all the steps along the way to creating your website so you can get started today! Weebly and Wix are two of the biggest website builder services in the world. But which is the best of these two rival website builder services? We put Wix and Weebly head-to-head to compare everything from templates to pricing. See which one came out on top- and why.